Thanks for expressing an interest in the new Block of the Month "Field Journal Club", that we are starting in March 2019 in conjunction with Cottage Garden Threads from Australia. 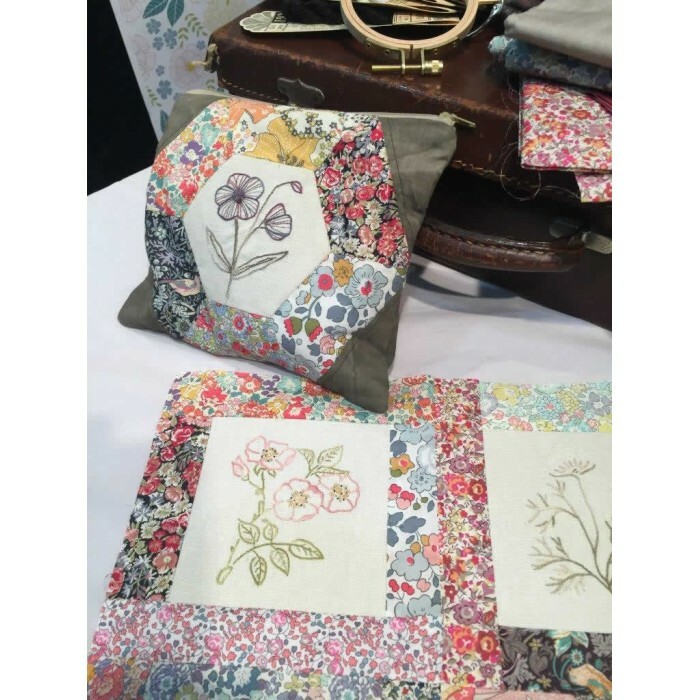 I am really excited about this project which includes beautiful stitcheries, exclusive hand dyed threads from CGT and gorgeous fabrics from Liberty of London, which will enable you to put together a stunning queen size heirloom quilt at the end of the program. There will also be some bonus projects along the way. The full program is $46.00 per month and is run over 36 months, broken down into three 12 month subscriptions. You will be committed to signing up for 12 months, and at the end of that time you can either opt out or continue with the program as you wish. The Field Journal Club Kit (optional) will be available for a one off cost of $159.00 in three colour ways and includes the fabric, patterns and instructions to cover your folder, the traveling zip pouch along with your hoop and exclusive set of 9 Field Journal threads. A sign up form is attached to this email and you are welcome to either fax, post or drop this into the shop or contact us with your ccard details. Full postal address and post code, emails and phone numbers are required. If we are posting goods out to you payment must be either by credit or debit card. Postings will be sent out on the 20th of each month. This is a stunning project and I am looking forward to stitching along with you, and if there is enough interest perhaps setting aside time for a Field Journal Stitchers Club meeting at Annie's each month so that we can encourage each other along.